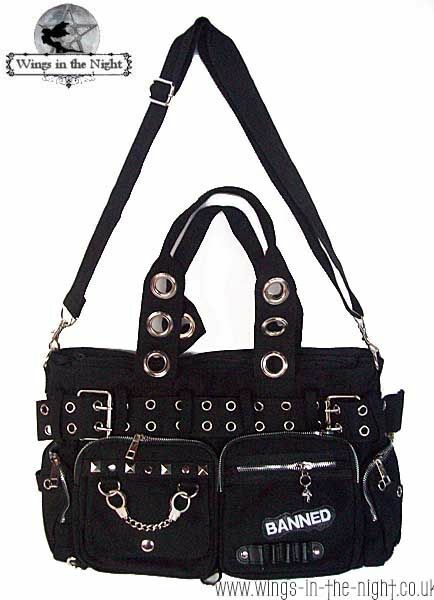 Ladies Gothic black shoulder bag by Banned features lots of silver studs, buckles and zip decorations. 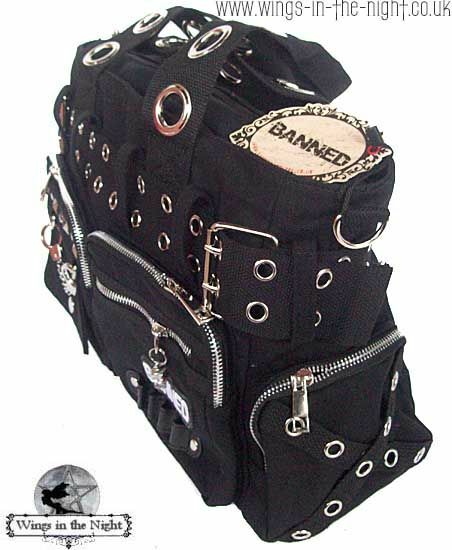 It also features lots of pockets including two on the front that are finished with a small pair of handcuffs and a small silver skull and the 'Banned' logo. The bag also has a webbed strap with silver eyelets around that match the two webbed handles, finished with larger silver eyelets. 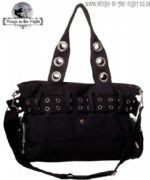 It has a removable, adjustable webbed shoulder strap and a zipped opening revealing an inner pocket, 2 side pockets and 2 front compartments that have zip up closures. 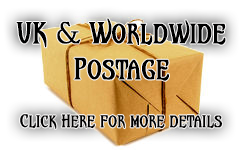 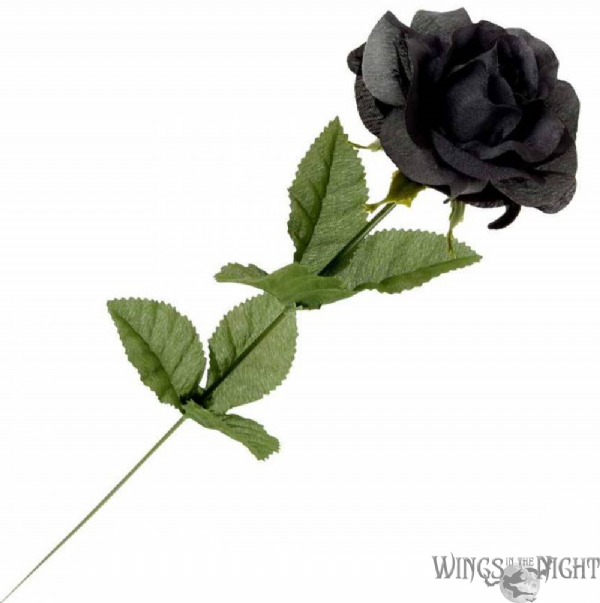 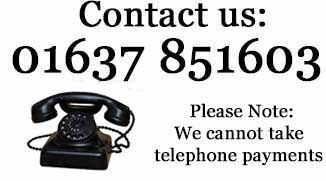 It is made from strong, heavy, durable canvas. 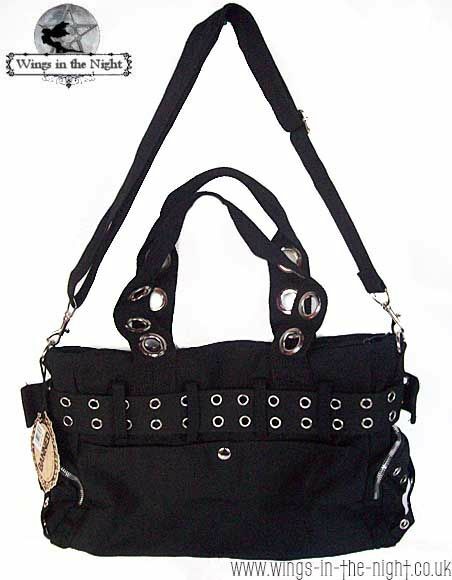 This unique, eye catching bag is the perfect addition to any Gothic, alternative or Heavy Metal wardrobe.